Yes, horror. As in the genre, not the feeling in real life. When I think of the horror genre, I think first of movies. I have always been a bit a scaredy-cat with them and let them get into my head, and find it hard to sleep after watching them. But this has begun to change recently, mostly because my boyfriend Dan is a massive fan of the genre. I used to refuse to watch horror films with him for fear of being too ‘bothered’ by them; but over time I have compromised and agreed to watch a few milder ones about possession or something. And I can now say that I am happy to watch horror films – though I still have a limit. I happily watched The Babadook, but I refuse to watch any of the Saw films, as they just seem to be gore on top of gore. Not my thing. I have always loved The Others, the Nicole Kidman movie about a very haunted house, famously made with minimal special effects. It is really bloody scary, but I love it because I find it interesting. And as I have watched more horror films with Dan, and we have talked about them, and he has explained why he loves them, I have come to understand them more and realise what it is that makes them interesting. I think some people watch them for the thrill of the fear, but I think I watch them because not only are they interesting psychologically, they are also exciting, in a similar way to a gritty crime novel – what will happen next? What is the truth? As with Saw I don’t want to watch anything gory – that doesn’t appeal to me. I’d rather something psychological with a mystery, and a few good scares along the way. I’ve always liked gothic themes and imagery, and this is a huge part of the horror genre. Now, Dan loves horror movies, but he also like books that fit into the genre in some way, from ghost stories to strange fiction like H. P. Lovecraft and Robert Aickman. 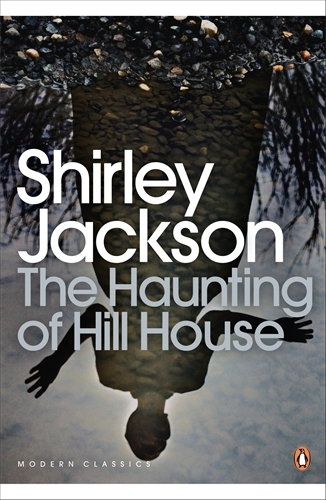 I’ve tried reading Aickman and just couldn’t get along with it; but then Dan brought a copy of Shirley Jackson’s The Haunting of Hill House with him on our recent holiday. He was reading The Amityville Horror, and I’d just finished Cheerful Weather for the Wedding and had nothing else to read, so I picked up the Jackson. No live organism can continue for long to exist sanely under conditions of absolute reality; even larks and katydids are supposed, by some, to dream. Hill House, not sane, stood by itself against its hills, holding darkness within; it had stood for eighty years and might stand for eighty more. Within, walls continued upright, bricks met neatly, floors were firm, and doors were sensibly shut; silence lay steadily against the wood and stone of Hill House, and whatever walked there, walked alone. I mean, that is just fantastic. The last few words also made me think of Satan walking on the sphere of the Earth in Paradise Lost, which was a nice little bonus. And so ominous! The novel tells the story of a professor who invites a group of people to stay with him in Hill House, and see if they can find any evidence of it being haunted. One, Theodora, has some sort of psychic ability; then there is Eleanor, our central character, who has experienced supernatural ‘activity’; and lastly Luke, who is the heir to the house. The professor’s wife also turns up later on and causes a lot of problems. Anyway. It is a classic haunted house story, with funny noises, inexplicable cold drafts, loud bangs, and lots of weird occurrences. But the most gripping part of it for me was the strange effect that staying in the house seems to have on Eleanor. She begins to feel that it wants her there, that it is trying to talk to her… suffice to say as the novel goes on, it gets more and more intense, and stranger things start to happen. The pace is beautifully measured, and the reader isn’t sure whether or not to believe Eleanor, or to believe if there are ghosts in house or not. As I have realised Jackson’s work to be, it is engaging and beguiling, surreal and beautiful. The Haunting of Hill House, as a book, is creepy rather than outright scary. The first film adaptation, released in 1963 is often called the scariest film ever made. I’ve yet to see it, but am eager to see the transition of the story to the screen – I can easily imagine that it would be much more frightening as a film than as a book. There was another film adaptation, released in 1999 and staring Liam Neeson and Catherine Zeta-Jones, called simply The Haunting, which frankly looks a bit silly, but could still be good. I shall be watching both to compare! So what do you think of horror? To me, at least, the psychology of reading for pleasure is interesting – why do we do it? What do we get out of it? Why is pleasurable? Why do we like what we like? Different people will have different answers to these questions. Generally I know what I like, and I can judge relatively easily whether or not I will like a book before I read it. This mean that I look out for – and avoid – certain things. I’ve never thought of myself as a reader committed to a genre, but I know that I like certain types of books, and I dislike others. There are some types of books I know I’ll never read (chick lit, romance, YA, Martin Amis) and some that I’ve never read but I’m not sure why not (I literally can’t think of any examples except Anna Karenina). And there are some that are on my radar, that I like the look of, but that I’m a bit nervous of reading. The main type/genre that fits this description is sci fi. I like a lot of sci fi TV shows and movies, I know several people who love sci fi and I love hearing about it from them. So why didn’t I read it for myself? Mostly because I get very easily stuck in a niche when it comes to reading. As I say, I know what I like, and this makes it way too easy to read the same type of book all the time. It’s interesting and stimulating, and often still challenging, but it doesn’t push me outside of my comfort zone. And so we come to Ancillary Justice by Ann Leckie. This book came to me through social media, and I instantly liked the look of it and the premise. The narrator is essentially an AI who was once a ship and a host of ancillaries (human bodies with the AI implanted in them, all part of the same consciousness), but who is now only one human body, and is on a mission to exact revenge (justice, hence the title) on those that destroyed her. That’s the basic plot, but there are a lot of other factors at play here. Firstly the whole gender thing, which some of you might have read about. The narrator, Breq, is/was part of a people called the Radchaai, who do not differentiate between the genders. As a reader you can see that there are men and women, as we have, but the Radchaai themselves don’t really make this distinction. As an ancillary/ship, Breq is completely unable to identify the gender of other people. Breq uses ‘she’ as the default pronoun in much the same way we use ‘he’ (‘mankind’, for example). The way that Ann Leckie uses this is quite interesting, as it means that we sometimes don’t know the gender of a character until they or someone else mentions it – to Breq they are all ‘she’. I found myself assuming that Breq has a female body at the point when she has only one, and that her ancillaries were female too – but of course there is no way to tell. This ambiguity sets you off on a path of uncertainty and opaqueness that was part of the reason Ancillary Justice was not an easy read for me. I am not used to reading sci fi, and so I cannot assume that this is a trait of the genre, but I found Breq’s narration to be simultaneously engaging and cold and distant. She is not human, and does not feel emotions as we do (something highlighted by the emotions of human characters), which I understood, but it meant that her voice was at times a bit flat and monotonous. Sometimes it was a bit this happened, then this, then this. I also found the scenes and scenarios harder to imagine and much harder to connect with – it didn’t feel like a world filled with humans, even though it was. I persevered with this book because despite everything I was fond of Breq, in her many forms, and I wanted to see what happened. I have to admit I did a little skimming in the last third, but then who hasn’t done that, even with a book they liked? Ancillary Justice is very dense, and intense, and so I think that was a factor. Am I glad I read it, that I pushed myself to read something out of my comfort zone? Yes, I am. I love sci fi in general so much that I have wanted to read something in the genre for a long time, and I’m very happy I did, even if it didn’t totally work out for me. To be honest I’m not sure if I will read the next book in the series, Ancillary Sword, but I do think I will read more sci fi now – I just have to find a book that’s right for me. 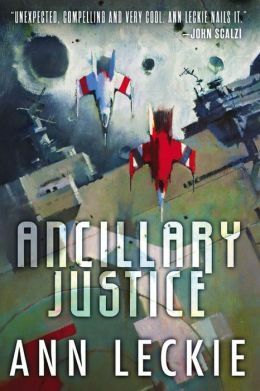 I also think that Ancillary Justice would be AMAZING as a movie. I would watch it. Published by Orbit in October 2013. Book Riot have also posted about reading outside of your comfort zone. Check it out here. When we learn about trauma, we also learn about catharsis, about ‘getting it out’ and finding closure. About having a cathartic experience. This is why we read books about war and suffering, why survivor testimonies are always popular books in whatever form they may take – from the wonder of writers like Primo Levi, to the tawdriness of abuse memoirs. We read sad stories out of curiosity, out of a desire to know how bad things can be in order to appreciate the true goodness of our own lives. We need to remember that it can always be worse, that there are and were a lot of people a lot worse off than us. But, we must not be negative, we must not focus on sad things to the point that they bring us down and we see sadness in everything. I chose to praise sad books in this post partly because I have realised that a lot of the books I read have sad stories. 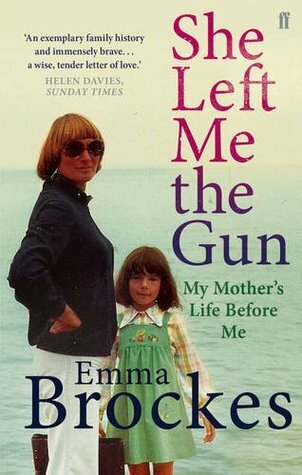 One in particular that I read very recently was a memoir by journalist Emma Brockes in which she investigates her mother’s dramatic life after her death. She Left Me the Gun has been described as a misery memoir, unfortunately, but that was not what it was for me. For one thing I started reading it without any knowledge of the darkness it held, and I was not in any way intrigued or scandalised by the disturbing nature of the revelations. It is a very intelligently written book, a woman taking the time to examine her mother’s life and the history of that part of her family, and to lay it all out before her like a jigsaw – to piece it together and see a whole. But Emma Brockes does not dwell on negativity or unpleasant memories. She recounts everything as unfortunate matter-of-fact, as ‘this is what happened’ and little else. She of course examines its ramifications and the ways in which the suffering of the past has filtered into the present, but again it is not depressing or sensationalist. The fact that she is a journalist, and that it is her own family, means that she is very respectful and never veers towards vulgarity or luridness. She takes everything as it appears to her and rationally recounts it to her readers in a way that is not heavy-handed or grim. She Left Me the Gun was published by Faber & Faber (UK paperback) in February 2014. In the interests of my making my blog as varied and interesting as possible, and also to stop it from becoming what Kim Forrester recently called “ another (unpaid) marketing cog in the machine”, I have decided to start a new series – In Praise Of. So what will I be praising? Firstly it won’t be just me, I want you to tell me what you think needs some praise, and I want YOU to write about it. I’ll be writing too, of course, and will be ‘curating’ the whole thing, making a few editorial suggestions for your posts and making sure they look beautiful. But, it could still be something that a lot of people love, that you want to shout about – this doesn’t have to be In Defense Of – this is Praise! Deserved praise! This series will run every other Wednesday, and the first post will be up on 17th September. I would very much like to have several other writers/bloggers involved, so get in touch if you have something that you think needs some overdue attention drawn to it, or something that you just love that much. I want the posts to praise but also to explain why that praise is due and what it is that you get out of this thing that is so great. Visit the Contact page to get in touch, and I look forward to hearing your suggestions!